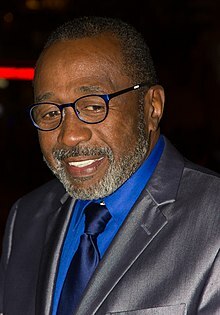 Ben Vereen (born October 10, 1946) is an American actor, dancer, and singer who has appeared in numerous Broadway theatre shows. Vereen graduated from Manhattan's High School of Performing Arts. Vereen was born Benjamin Augustus Middleton on October 10, 1946, in Miami, Florida. While still an infant, Vereen and his family relocated to the Bedford-Stuyvesant neighborhood in Brooklyn, New York. He was adopted by James Vereen, a paint-factory worker, and his wife, Pauline, who worked as a maid and theatre wardrobe mistress. He discovered he was adopted when he applied for a passport to join Sammy Davis, Jr. on a tour of "Golden Boy" to London when he was 25. He was raised Pentecostal. During his pre-teen years, he exhibited an innate talent for drama and dance and often performed in local variety shows. At the age of 14, Vereen enrolled at the High School of Performing Arts, where he studied under world-renowned choreographers Martha Graham, George Balanchine, and Jerome Robbins. Upon his graduation, he struggled to find suitable stage work and was often forced to take odd jobs to supplement his income. He was 18 years old when he made his New York stage bow off-off Broadway in The Prodigal Son at the Greenwich Mews Theater. By the following year, he was in Las Vegas, performing in Bob Fosse's production of Sweet Charity, a show with which he toured in 1967–68. He returned to New York City to play Claude in Hair in the Broadway production, before joining the national touring company. The following year, he was cast opposite Davis in the film adaptation of Sweet Charity. After developing a rapport with Davis, Vereen was cast as his understudy in the upcoming production of Golden Boy, which toured England and ended the run at the Palladium Theatre in London's West End. Vereen was nominated for a Tony Award for Jesus Christ Superstar in 1972 and won a Tony for his appearance in Pippin in 1973. Vereen appeared in the Broadway musical Wicked as the Wizard of Oz in 2005. Vereen has also performed in one-man shows and actively lectures on black history and inspirational topics. Vereen has also starred in numerous television programs, and is well known for the role of 'Chicken' George Moore in Alex Haley's landmark TV miniseries Roots, for which he received an Emmy nomination in 1977. Vereen's four-week summer variety series, Ben Vereen ... Comin' At Ya, aired on NBC in August 1975 and featured regulars Lola Falana, Avery Schreiber and Liz Torres. In 1978, on a Boston Pops TV special, Vereen performed a tribute to Bert Williams, complete with period makeup and attire, and reprising Williams' high-kick dance steps, to vaudeville standards such as "Waitin' for the Robert E. Lee". In 1981, Vereen performed at Ronald Reagan's first inauguration. The performance generated controversy as Vereen performed the first part of the show in blackface. Before the finale, ABC cut the live performance, generating confusion and anger from viewers at home. He was cast opposite Jeff Goldblum in the short-lived detective series Tenspeed and Brown Shoe (1980). During the late 1980s and early 1990s, Vereen worked steadily on television with projects ranging from the sitcom Webster to the drama Silk Stalkings. In 1985, Vereen starred in the Faerie Tale Theatre series as Puss in Boots alongside Gregory Hines. He appeared on The Fresh Prince of Bel-Air episode, “Papa’s Got a Brand New Excuse", in which he played Will Smith's biological father, Lou Smith. He made several appearances on the 1980s sitcom Webster as the title character's biological uncle. He also appeared as Mayor Ben (a leopard) on the children's program Zoobilee Zoo and as Itsy Bitsy Spider in Mother Goose Rock 'n' Rhyme. In 1993 he appeared in the Star Trek: The Next Generation episode "Interface" as the father of Roots co-star LeVar Burton's character Geordi La Forge; fellow Roots star Madge Sinclair appeared in the same episode as Geordi's mother. In Roots, Vereen had played "Chicken George", the grandson of Burton's character Kunta Kinte. He also appeared on the television series The Nanny episode "Pishke Business". In 2010, he appeared on the television series How I Met Your Mother episodes "Cleaning House" and "False Positive" as Sam Gibbs, the long lost father of James Gibbs, Barney Stinson's brother. He returned in 2013 and 2014 for another two episodes. The Community Mental Health Council awarded Vereen with their 2004 Lifeline Celebration Achievement Award. For his humanitarian contributions, he has received a number of awards including Israel's Cultural and Humanitarian Awards, three NAACP Image Awards, an Eleanor Roosevelt Humanitarian Award and a Victory Award. He has received honorary doctorates from the University of Arizona, Emerson College, St. Francis College, and Columbia College in Chicago. In 2001, Medgar Evers College created the Ben Vereen Scholarship for the Performing Arts, and in 2004, he received an Achievement in Excellence Award from his alma mater, the High School of the Performing Arts. He was the first simultaneous winner of the “Entertainer of the Year,” “Rising Star,” and “Song and Dance Star” awards from the American Guild of Variety Artists (AGVA). He also earned a coveted spot in the Casino Legends Hall of Fame. Vereen was nominated for an NAACP Image Award for his performance in the Hallmark movie An Accidental Friendship. In 2004, Vereen was nominated for a “Career Achievement Award” by the Le Prix International Film Star Awards Organization. In 2011, he was inducted into the American Theatre Hall of Fame. In 2012, Vereen was inducted into the National Museum of Dance's Mr. & Mrs. Cornelius Vanderbilt Whitney Hall of Fame. Vereen has appeared as a public speaker and humanitarian speaking on such topics as black history, overcoming adversity, and the importance of continuing education. In 2007 he was diagnosed with type 2 diabetes and has a website in which he shares his personal story along with advice from medical experts. According to the 'Fayetteville Observer' of April 29, 2006, Vereen learned while applying for a passport in the late 1960s that he was adopted. His birth certificate revealed that his birth name was Benjamin Augustus Middleton, that he was the son of Essie Middleton, and that he was born in Laurinburg, NC. In April 2006, Vereen visited Scotland County with a genealogist on a search for family members and learned that his mother's name was Essie May Pearson. The Laurinburg Exchange reported: "Vereen, an adoptee who learned that he was born in Laurinburg and made a celebrated trip to Scotland County in 2006 to reconnect with family. While on the trip he learned his mother had died 24 years before, but that several relatives still lived in the area." According to her acquaintances, Essie had gone on a trip when Vereen was a child, and had left her baby in someone's care. When she returned, the child was gone. In the April 28, 2006 interview with the 'Laurinburg Exchange', Vereen said that his visit "has just all been so overwhelming ... I've finally found my family". In May 2006, he met his mother's daughter, (his sister), Gloria Walker, of Derby, Connecticut. He also has a brother, James Middleton, who lives in Tucson, Arizona. In the early 1980s, Vereen moved with his family to Saddle River, New Jersey. via Associated Press. His 16-year-old daughter, Naja, was killed in an auto accident in 1987, on the New Jersey Turnpike when a truck overturned on her car. In 1992, Vereen suffered three accidents in one day, when his car hit a tree causing him to hit his head on the roof of his car, then he suffered a stroke while he was walking on a Malibu highway, apparently veering into the road where he was struck by a car driven by record producer David Foster. His critical injuries (including a broken leg) required him to undergo arduous physical rehabilitation in the ensuing months. Vereen is the godfather of R&B superstar Usher and is also the first cousin once removed of New York Giants running back Shane Vereen. Vereen was the keynote speaker for the Boys & Girls Clubs in St. Petersburg, Florida annual alumni tribute gala held in October 2007. In August 2011, Vereen was named Co-Artistic Director of Tampa's Broadway Theatre Project. In September 2012, Vereen filed for divorce from his wife Nancy Bruner Vereen of 36 years citing irreconcilable differences. He is an active Democrat. In January 2018, multiple actresses in a Florida production of Hair directed by Vereen alleged that Vereen had made inappropriate sexual advances towards them throughout the production. Vereen has since apologized for his misconduct. ^ "Ben Vereen". www.onlineseats.com. Archived from the original on 24 November 2011. Retrieved 6 November 2011 – via Internet Archive. ^ "Ben Vereen – Broadway Cast & Staff". www.ibdb.com. ^ Dwyer, Jim (29 November 2016). "Ben Vereen's Disappearing Divorce". The New York Times. Retrieved 23 November 2017. ^ "Ben Vereen Biography (1946-)". www.filmreference.com. ^ "Ben Vereen Writes About 'Blood Family' in New Book". EURweb. 2011-01-26. Archived from the original on 2012-03-24. Retrieved 2012-01-28. ^ Gliatto, Tom (7 December 1992). "The Road Back". People.com. Retrieved 23 November 2017. ^ L’Official, Pete (6 January 2017). "When Ben Vereen Wore Blackface to Reagan's Inaugural Gala". The New Yorker. Retrieved 23 November 2017. ^ "Ben Vereen Biography (Actor/Dancer) —". Infoplease.com. 1946-10-10. Retrieved 2012-01-28. ^ "WTNH news". Archived from the original on 2008-06-16. Retrieved 2006-05-28. ^ Saul, Emily (8 September 2016). "Ben Vereen is revealed to be a bigamist". pagesix.com. ^ "Ben Vereen Allegedly Spent 36 Years Married to Two Women". PEOPLE.com. ^ according to Associated Press. "Vereen moving to Saddle River", Daytona Beach Morning Journal, July 15, 1982. Accessed December 17, 2013. "Actor and Singer Ben Vereen is putting down new roots in Saddle River because, he joked Wednesday, the residents 'asked me to move out there to improve the neighborhood.'" ^ Gliatto, Tom (1992-12-07). "The Road Back". People.com. Retrieved 2012-01-28. ^ "Ben Vereen interview by Chet Cooper". Abilitymagazine.com. Retrieved 2012-01-28. ^ "Ben Vereen: Awake, Aware, and Alive". Cabaret.broadwayworld.com. 2007-02-15. Retrieved 2012-01-28. 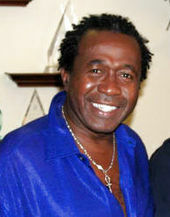 ^ "Ben Vereen Named Co-Artistic Director of Tampa's Broadway Theatre Project". www.theatermania.com. ^ "Ben Veeren files for divorce from wife of 36 years". AP. Retrieved 20 September 2012. ^ Jay Mathews (May 28, 1983). "Democrats Hope to Get $6 Million in Telethon". The Washington Post. ^ "Broadway legend Ben Vereen accused of sexually assaulting and harassing actresses during production of 'Hair'". NY Daily News. Retrieved 15 April 2018. ^ "Broadway Star Ben Vereen Apologizes After Accusations of Sexual Harassment". Variety. Retrieved 15 April 2018. Wikimedia Commons has media related to Ben Vereen. Andrea Louise Martin is an American actress, singer, author and comedian, best known for her work in the television series SCTV and Great News. She has appeared in films such as Black Christmas (1974), Wag the Dog (1997), Hedwig and the Angry Inch (2001), My Big Fat Greek Wedding (2002), My Big Fat Greek Wedding 2 (2016), and Little Italy (2018). She has also lent her voice to the animated films Anastasia (1997), The Rugrats Movie (1998) and Jimmy Neutron: Boy Genius (2001). Teddie Joe "Ted" Neeley is an American rock and roll drummer, singer, actor, composer, and record producer. He played Jesus Christ in the film Jesus Christ Superstar (1973). John Soursby Glover Jr. is an American actor, known for a range of villainous roles in films and television, including Lionel Luthor on the Superman-inspired television series Smallville. In 1993, he co-starred in the dark comedy Ed and His Dead Mother with Steve Buscemi and Ned Beatty. 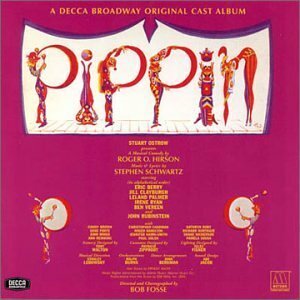 Pippin is a 1972 musical with music and lyrics by Stephen Schwartz and a book by Roger O. Hirson. Bob Fosse, who directed the original Broadway production, also contributed to the libretto. The musical uses the premise of a mysterious performance troupe, led by a Leading Player, to tell the story of Pippin, a young prince on his search for meaning and significance. Chita Rivera is an American actress, dancer, and singer best known for her roles in musical theatre. She is the first Hispanic woman and the first Latino American to receive a Kennedy Center Honors award. She was awarded the Presidential Medal of Freedom in 2009. Gavin Lee is an English actor who has appeared on the stage in musical theatre, notably in the musical Mary Poppins, in both the West End and on Broadway. 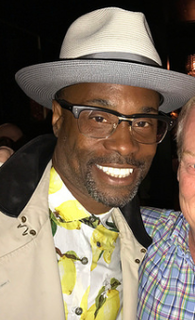 Billy Porter is an American stage performer, pop singer, and actor. He attended the Musical Theater program at Pittsburgh Creative and Performing Arts School's School of Drama, graduated from Carnegie Mellon University School of Drama, and achieved fame performing on Broadway before starting a solo career as a singer. 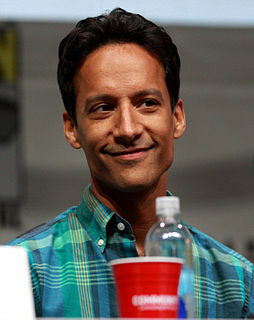 Daniel Mark Pudi is an American actor, who is best known for his role as Abed Nadir on the NBC/Yahoo! comedy series Community for which he was three times nominated for the Critics' Choice Television Award for Best Supporting Actor in a Comedy Series and received a nomination for the TCA Award for Individual Achievement in Comedy. Patina Renea Miller is an American actress and singer. Miller is best known for originating the role of disco diva wannabe Deloris Van Cartier in the 2009 West End and 2011 Broadway productions of Sister Act. She also starred as the Leading Player in the 2013 revival of Pippin for which she won the Tony Award for Best Actress in a Musical. Dylan Riley Jacob Snyder is an American film, television and musical theatre performer. 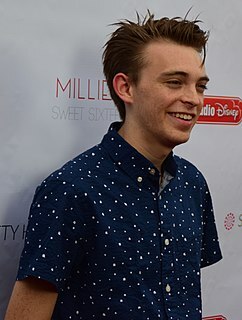 Beginning his acting career in community theatre at the age of five, Snyder is known for his acting, singing, and dancing abilities, starring as Young Tarzan in the 2006 Broadway musical, Tarzan, as Timmy in the 2009 feature film, Life During Wartime and as Milton on the Disney XD comedy series Kickin' It. Benjamin Tyler Cook is an American actor, dancer and singer. A Helen Hayes Award nominee, he has appeared in four Broadway productions: Ragtime, Billy Elliot the Musical, Tuck Everlasting and currently, Mean Girls. He has also performed in two Broadway national tours, Billy Elliot the Musical and Newsies the Musical; and appeared on television in episodes of 30 Rock, House of Cards, Veep and Law & Order: SVU. He has also appeared in two movies. Newsies: Live (2017) and “Paterno” which aired on HBO. He acted along side Al Pacino. “Paterno” was later nominated for an Emmy and won. 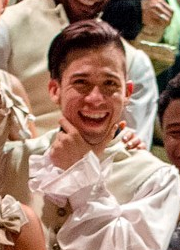 Jon Rua is an American actor, singer, and choreographer, best known for his roles in Broadway musicals such as Hamilton, In the Heights, and Hands on a Hardbody. Rachel Bay Jones is an American stage actress and singer. She has played the roles of Catherine in the 2013 Broadway revival of Pippin and Evan Hansen's mother, Heidi Hansen, in Dear Evan Hansen. The latter earned her the 2017 Tony Award for Best Featured Actress in a Musical.